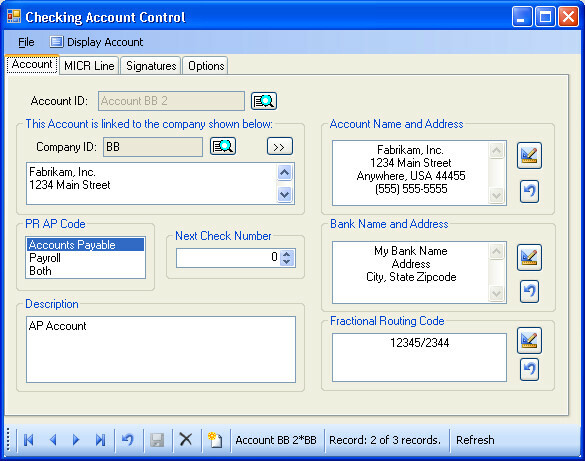 A checking account control record is maintained for each account. 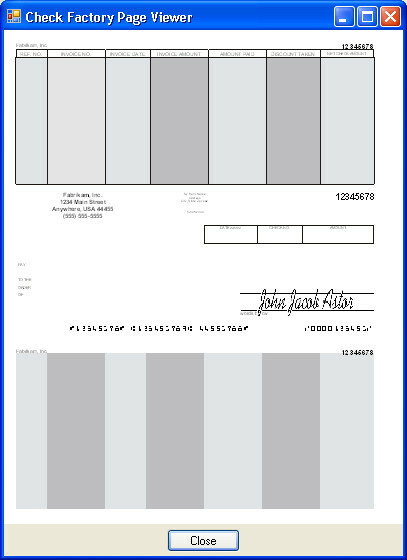 The account is not specific for a particular check format so you can easily print to check paper no matter where the check is located. However the format must be supported by your accounting software. 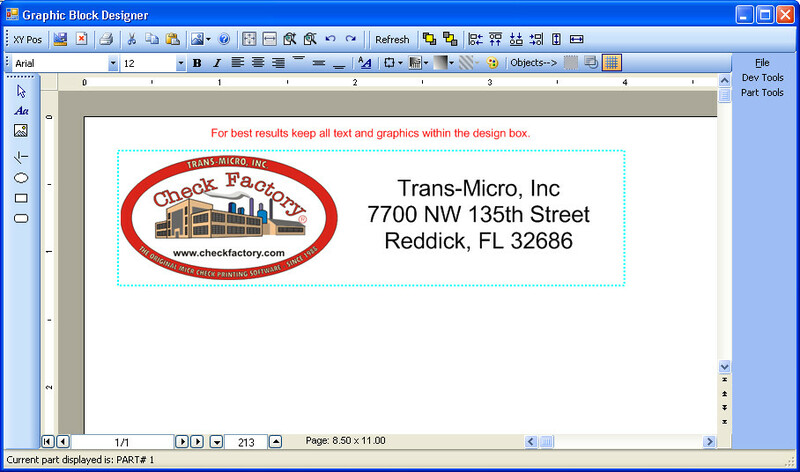 Company Logos and Graphics are designed using the Graphic Block Designer. COLOR is supported in all designers. 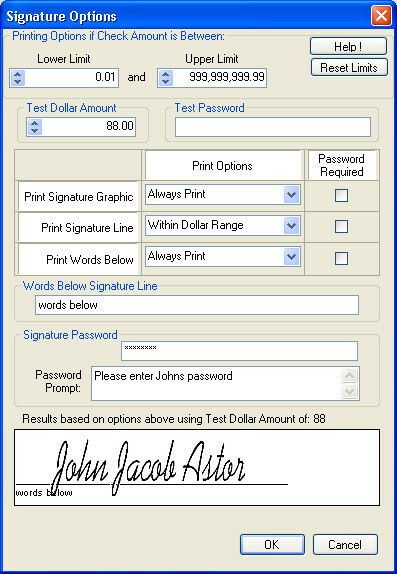 Signature print options are 100% user definable with complete security. 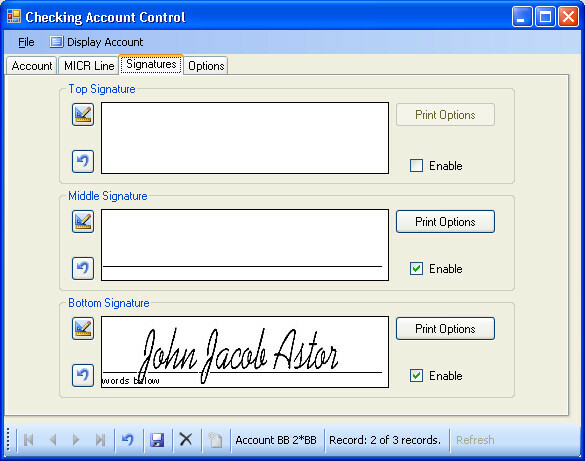 Options can be tested within the Signature Options window. No need to make test prints. 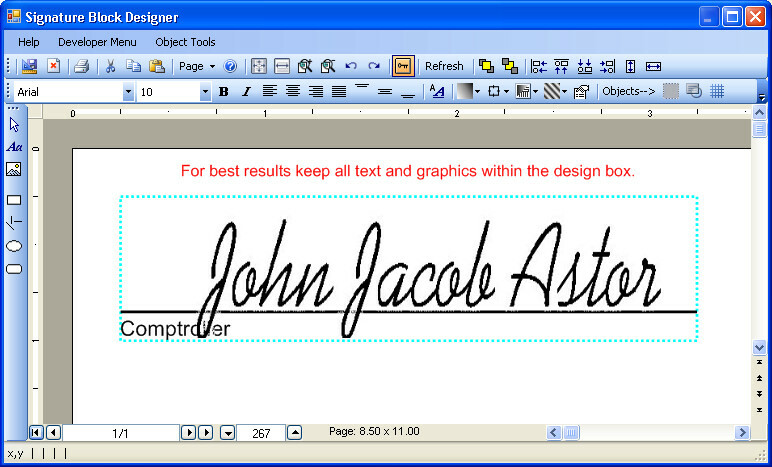 User friendly Micr Line editor. 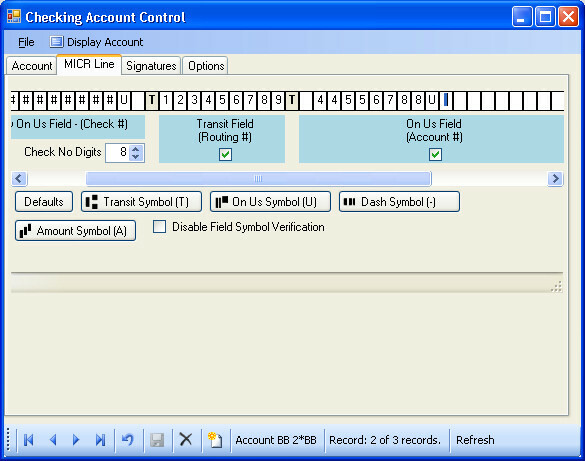 Matches the format of most bank supplied MICR encoding sheets. Everything is viewable on screen or printer.